The Business Year has been covering Colombia for seven years, sitting with its top business and political leaders to produce some of the most comprehensive English-language publications available on the country's economy. We have had the opportunity to see various sectors emerge as growth engines as governments have sought to diversify revenue streams away from oil and gas. And never has Colombia had such a golden opportunity to reshape its future than now, with the horrors of conflict now behind it as a result of the 2016 treaty ending conflict with the FARC rebel group. Colombia's medical cannabis industry is rising at a time when questions have arisen about how the state will drive rural development without relying on hydrocarbons, a now price-unstable commodity that helped the country double its GDP per capita between 2005 and 2014. Praise can somewhat be given to former president Juan Manuel Santos, who legalized the cultivation, manufacture, and export of medical cannabis in 2015. His successor, Iván Duque, has taken a tough stance on drugs that, fortunately for the many firms already operating within the medical cannabis space in Colombia, no longer appears to threaten the nascent sector. 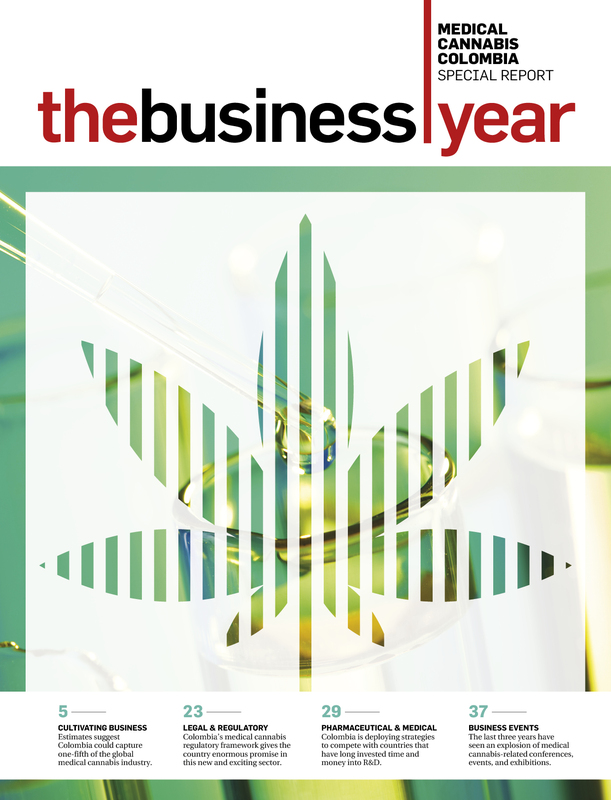 From the commercial side of the business to the legal and regulatory landscape, pharmaceutical environment, and burgeoning medical cannabis events scene, this 40-page report aims to provide a complete picture of the sector in Colombia, as well as act as a guide to the growth of the global medical cannabis industry.